Frankie Vaughan was born on February 3, 1928. He made a name for himself singing easy listening and traditional pop music, starting with 'The old piano roll blues' in 1950. Between then and the end of the Eighties, he released more than 80 singles. In 1955, he recorded what was to become his trademark song, 'Give me the moonlight, give me the girl'. 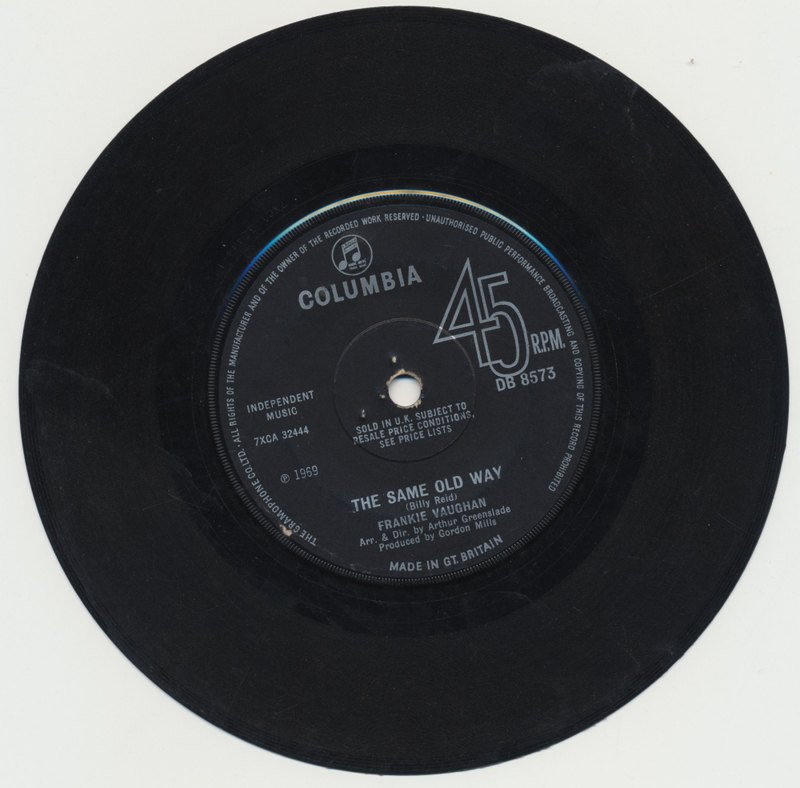 One of his singles, released in 1959 was 'The same old way', which like most of his singles after 1958 didn't become a hit. 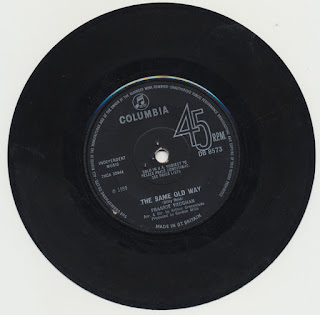 But I didn't buy this single for that song, I wanted to have it for the B-side, which was written by Marty Wilde and Ronnie Scott: 'You can't stop me dancing'. Vaughan died from heart failure in Oxford in 1999.